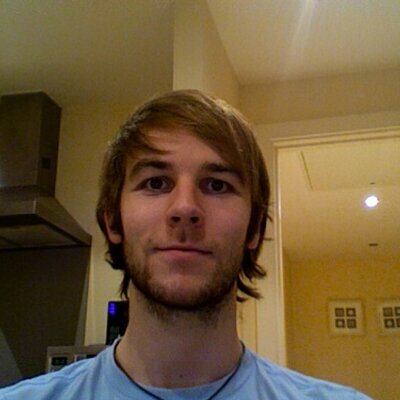 This software was originally written and submitted to a competition on Challenge Post titled “re invent the selfie”. Originally I planned to make a timelapse of my entire day into an animated gif capturing a snapshot from the webcam every 30 minutes or so during my work day. I decided that was a little niche so I reduced the capture time down to a few seconds to add just a little extra to the moment of capturing a selfie. The project is a node webkit packaged app for OS X. It opens the users webcam when the app is opened, then when the large “Make it” button is pressed 5 frames are captured from the webcam and converted into the gif image format. Then a save button appears and the user can save the gif to their filesystem for sharing on social networks. This was my first experiment using node webkit packaged apps. My day job is fairly varied and I spend most of my time either writing Spring java applications or using front end web tools such as angular for a large scale chat service. So it was was a different set of concerns for me to take into considering building this tool for desktop users. It could be argued that this tool is much more suited to be a mobile app as it is much easier to capture a moment using a mobile phone than pointing a laptop webcam at a situation. This is true but I wanted to quickly prove the concept on desktop and expand my skills into a more challenging environment for myself before porting to mobile, the desktop is more suited to the original time-lapse idea that the project stemmed from. 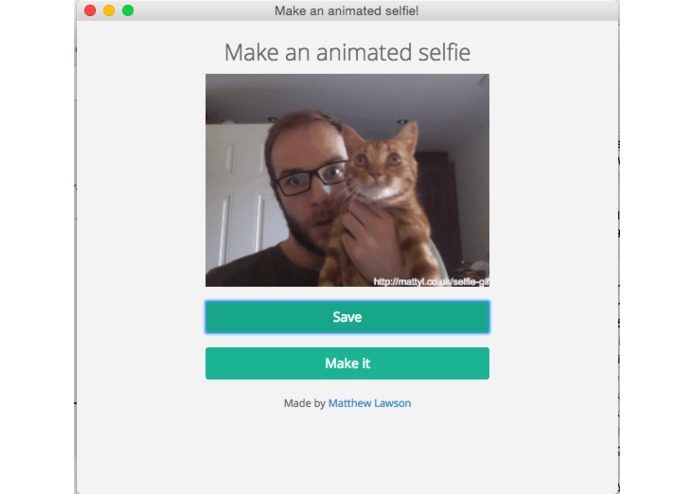 What’s next for Animated Selfie Maker for OS X? Social sharing is my top priority to make it super easy to share your selfie to all the main social networks. Settings to control how many frames to capture and at what speed – this will allow the quick selfie to be expanded into a timelapse if the user wishes. 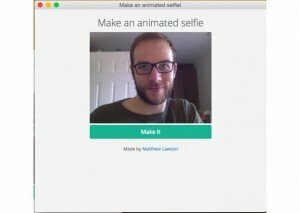 Filters – Add Instagram style filters & shapes to the animated selfies to make a more interesting creation. The technology the app is packaged with make sit easy to release a version for windows and linux so they will be following behind the release of this app shortly. The medium of desktop is interesting to develop for but not realistically the most practical to take a selfie on, so depending on the feedback from this desktop release I may port to mobile. Probably not, I may add an option to remove the watermarks from the selfies but as my time commitment has been fairly low to get it to this point this 0.1.0 version will always be free. If my plans above take me longer than I originally thought I may add add a paid for version to remove watermarks for a very minimal price.